I had a great Saturday. Let me tell you about it. Joan, Amanda (in her awesome hat), and me. 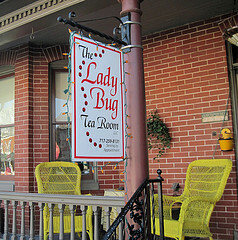 My friends, Amanda and Joan, and I went to a tea room in East Berlin, PA called The Lady Bug Tea Room. Joan had heard about the tea rooms in South Central Pennsylvania, and thought that we should all get together, and Amanda and I concurred. 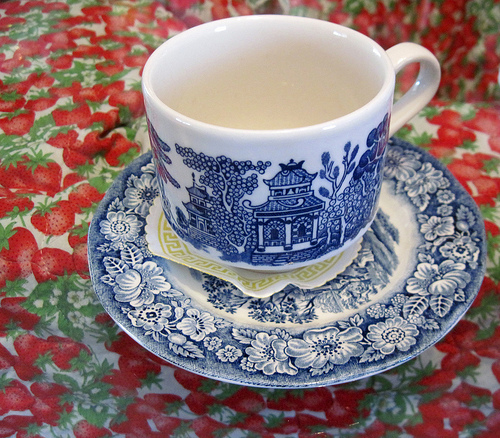 The Blue Willow teacup I chose. This Victorian tea room was four courses of heaven, with a lot of tea. I encourage you to look at their web site, and the photos that I have here. You got to pick your own teacup and teapot. 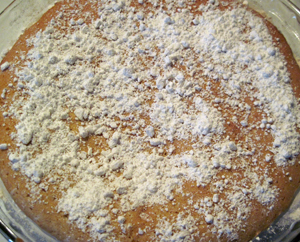 Miss Millie, the cook, offers vegetarian and gluten free meals, as well. 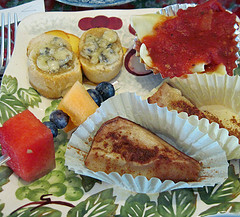 All of their food is homemade, local, and delicious. 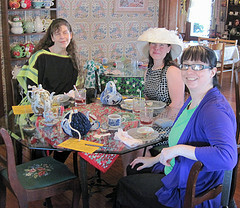 After a delightful tea, luncheon, and conversation, we all headed to The Manning’s, a yarn crafting and needle arts Mecca. It is HUGE. If you want it, they have it. Again, check out their web site. 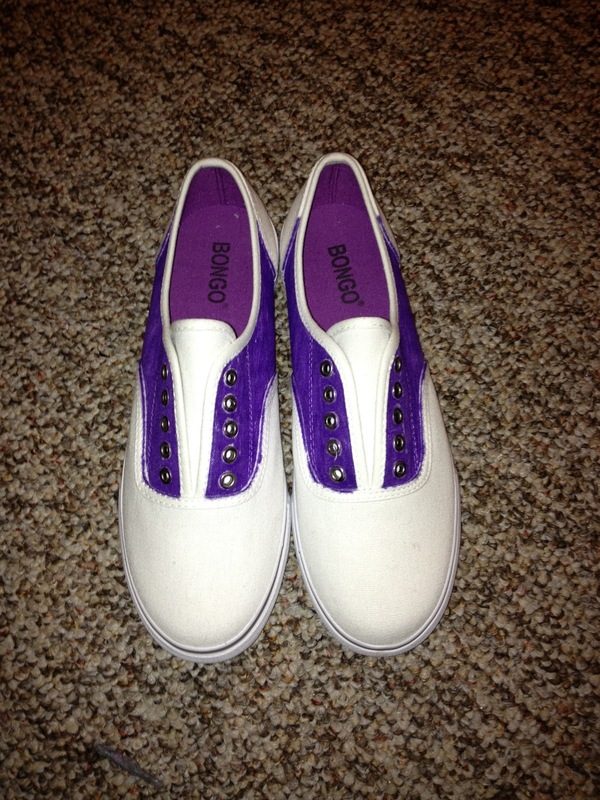 They ship! Amanda, a fellow knitter, crafter, and DIY-er, and I were in our ZONE. This place was incredible. Joan got to see us act like kids in a candy store. Each room held wonders to behold. I was able to control myself, and came out with only $20.00 in purchases. I could’ve spent much, much, more there. We then proceeded on to a MASSIVE thrift store that is located inside a former large grocery store. It was amazing to see all the rows of clothes and goods all arranged in color-coordinated rows. I finally found a nice, black skirt and a new top. Joan and Amanda came away with some great finds, too. Finally, we headed to a Chinese restaurant called Forbidden City that serves gluten free food, as Amanda is GF eater, and I am beginning to suspect that I may have that issue, too, but more on that at another time. We closed the place out talking. I’ve got to tell you about Amanda. This girl is one of the craftiest people I know. She spins, crochets, tats, sews, and knits. She got me interested in tatting myself, and lent me a few supplies to get started. It looks like fun! She also gave me some great tips and tricks into picking spindle spinning back up, too. How can you go wrong with great friends, food and fun? I really needed that day out, as all three of us did. I can’t wait to do this again, Joan and Amanda. When shall we get together again? I really like Squidoo’s online magazines, and recently have been included in one that just launched yesterday….So Crafty! I am a fairly active lensmaster over there, and have a few crafting lenses (basic web pages that feature a topic). I am also going to be writing for So Crafty about once a month. I encourage you to check So Crafty out and “Like” them on Facebook. There are all sorts of great Squidoo lenses out there about different crafting topics, and I’m glad that they have a magazine now to feature them. I am also excited to be a writer for the magazine, as well. I’m planning on my first article being a book review, and I already have one in mind. For you, though, it’s going to be a surprise until it’s published. Keep a lookout here and I will let you all know when the article is published. So Crafty is also looking for other writers to feature! Click on the appropriate link on their page. 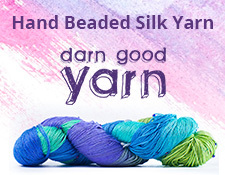 Also, to be included in So Crafty, join up on Squidoo and write about a crafting topic you love. It’s great exposure and lots of fun!